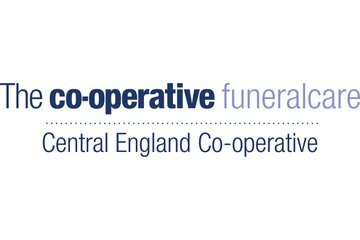 Central England Co-operative Funeral Service has been providing a caring and sympathetic service to Acocks Green and West Midlands families for over 100 years. Excellent service, used them for our dad 6years ago and they were good then, I think they have only got better. Lisa done a wonderful job, I couldn't be more thankful. Such a lovely caring person which made me feel comfortable to leave Ace in her care. He had the perfect send off. As the region’s leading funeral director, Central England Co-operative Funeral Service has been providing a caring and sympathetic service to Birmingham families for over 100 years. Based on Fox Hollies Road our Funeralcare Acocks Green funeral home has dedicated rooms of remembrance and is ideally located to serve the families of Acocks Green. Our colleagues live locally and know about the culture and customs of the communities they serve, and they have excellent relationships with local clergy and officiates of all faiths, doctors, solicitors, local authorities and bereavement groups – people we can call on to help you through your time of loss. When someone dies it can be difficult to know who to turn to for advice, especially when you have never had to organise a funeral before. When people are grieving it is the aim of our funeral directors and administrators to relieve as much of the pressure as possible. There are many aspects of funeral arrangements – sometimes requiring difficult choices – and our dedicated colleagues hope to make the process easier by offering expert advice in a caring, respectful manner. We are members of the National Association of Funeral Directors, following their strict code of practice, and our funeral bond scheme is monitored by the Funeral Planning Authority. When you choose Central England Co-operative Funeral Services you can be assured that every aspect of the funeral arrangements will be carried out with the utmost dignity and in accordance with your wishes. It was of course a dreadful time for our family but Tina and the team helped us to get things organised and delivered a lovely smoothly run event. Only negative was my mother being moved in order for a doctor to certify death without us being advised. That was unintentionally upsetting. However this was more than outweighed by the courtesy and service we received. The family of Bridget would like to thank Lisa and the team for all their help, support and advice during the sad occasion of our Mothers death. Nothing was too much trouble and the service we received from strat to finish was very professional. Everybody did a top job and were very friendly and helpful. This made concentrating on the FUN-eral so much easier. It was a brilliant day and everyone had a lot of fun, which is exactly the way Val planned it to go. Grateful thanks to Lisa, Tina, Peter & Shirley. Our Brother's Funeral was conducted with dignity, compassion and support. At a time when a family member dies unexpectedly, at a relatively young age, the state of shock can be devastating, leaving people unable to cope with organising such a sad event. The Co-op Funeral Team guided and gently directed the family at this sad time of departure. Thank you. Friendly,professional service,have used before,and would recommend. Supportive team, would highly recommend. 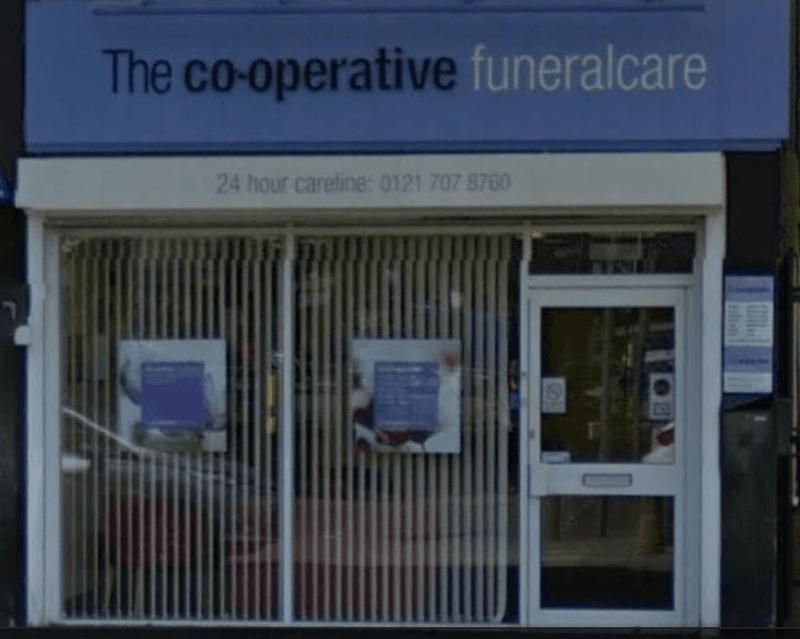 The Co-operative Funeralcare Acocks Green will provide you with a free obituary as part of their service.